These Honey, Parmesan, & Rosemary Scones were a lot of fun to make with the kids. Picking herbs from the garden for dinner is fun as-is, but they were extra excited about getting to knead the dough and cut out the circles. This was actually our second attempt at the recipe; the first batch was a little burnt, which I should have expected with my oven. We only cooked the scones for 10 minutes the second time. I added extra parmesan in the dough (3/4 cup instead of 1/2 cup) and sprinkled more parmesan on top of each scone before baking. Also, I subbed in 1/2 cup of whole wheat pastry flour for some of the regular flour. We had them with a big bowl of Bucatini Vongole — perfect for soaking up all that garlicky sauce. I was recently out with my daughter Samantha at Watters Creek, our favorite outdoor shopping center. 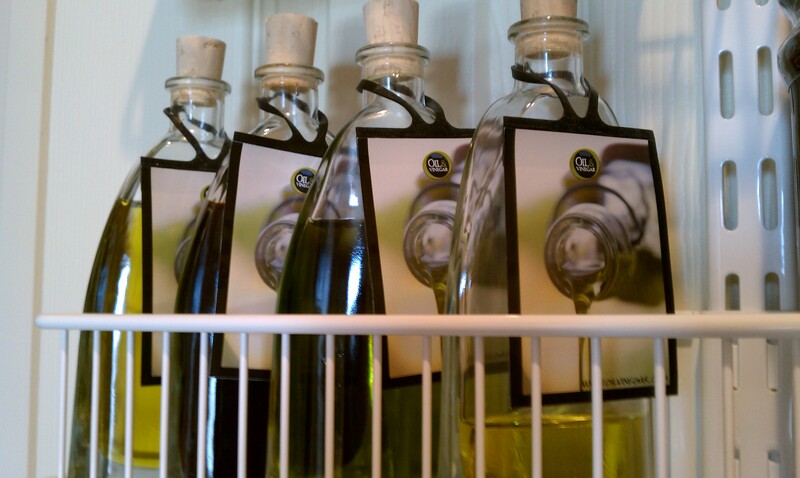 I had heard about a new store that had dozens of oils and vinegars “on tap”, which sounded so intriguing. Samantha was having a good time outside and resisted at first, but once I got her into the store, I couldn’t get her out. We had so much fun sampling Oil & Vinegar‘s fares with the tiniest bits of bread on toothpicks; I could see I had a little seven-year old foodie in the making. The concept is a lot of fun — you can pick from different sizes and shapes of glass bottles, which can be brought back to the store to be refilled (nice for the environment too). You can try everything before you buy it. In the end (literally, an hour later), Samantha chose the Rosemary Extra Virgin Olive Oil, which is great on its own, and also delicious mixed with the Parmesan Dipper mix she just had to have. We also bought the Lime Riesling Grapeseed Oil (great for cooking fish at high temperatures), the Fig Balsam Creme Vinegar (so far we’ve just mixed it with Rosemary EVOO for dipping, but it will be perfect in salads and for vegetable dishes), and finally, the White Truffle Oil, which, as my friend Tara says, makes pretty much everything taste 1000 times better. I want to go back to try a few more things, but I’ve told myself we have to finish at least one of these existing bottles first. A fine excuse to keep on cooking. 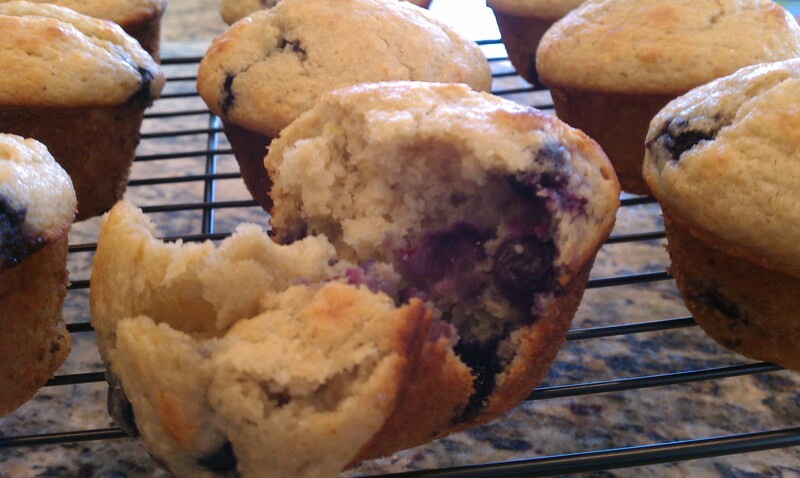 This Better Blueberry Muffin recipe is another hit from the Ellie Krieger cookbook I’ve been enjoying so much, “Comfort Food Fix”. These muffins are kept light and airy with applesauce, low-fat yogurt, and lots of lemon zest. Whole-wheat pastry flour bumps up the fiber count. And for 200 calories, they are a really good size. I’ve been baking with vegetables again. 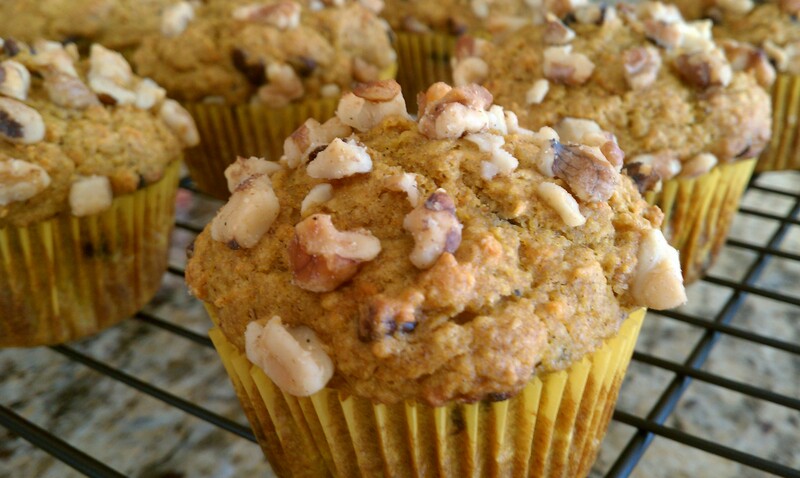 This Pumpkin and Spice and Everything Nice muffin recipe is from “The Looneyspoons Collection” cookbook my husband gave me for Christmas. The authors, Janet & Greta Podleski, are Canadian sisters with a bunch of fun cookbooks, and it’s safe to say that most of the cooking I attempted in my early 20s came from the original “Looneyspoons” cookbook (the only cookbook I owned). The book has improved from 15 years ago and I’m happy to report that my cooking has too. These muffins turned out beautifully — filled with pumpkin, carrot, chocolate chips, and LOTS of pumpkin pie spice. The house smells fantastic. This recipe uses maple syrup instead of sugar for sweetness, which goes so well with the pumpkin. I substituted 1/4 cup of wheat germ for 1/4 cup of the flour to bump up the health factor even more. I also put walnuts on top of half the muffins instead of mixing them in, to ensure harmony in the household come breakfast-time. I saw Rachael Ray use this method of cooking fish with her Wasabi Broiled Black Cod and had to try it. 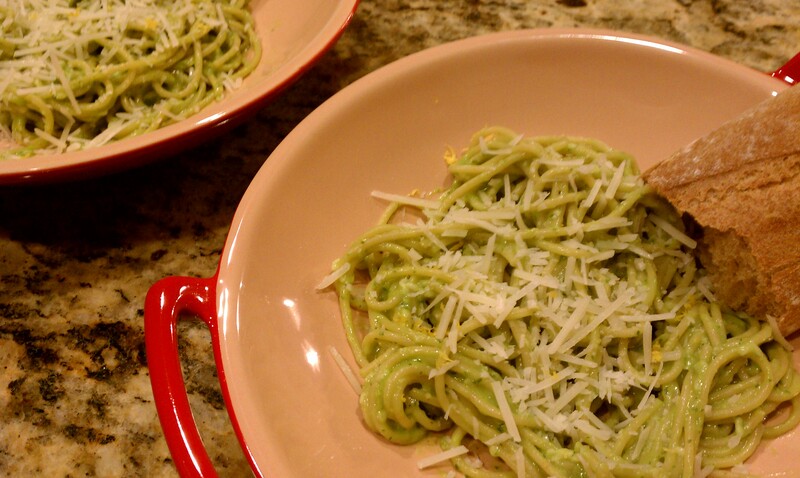 You just mix wasabi paste (I used more than the recipe called for — it had a kick!) 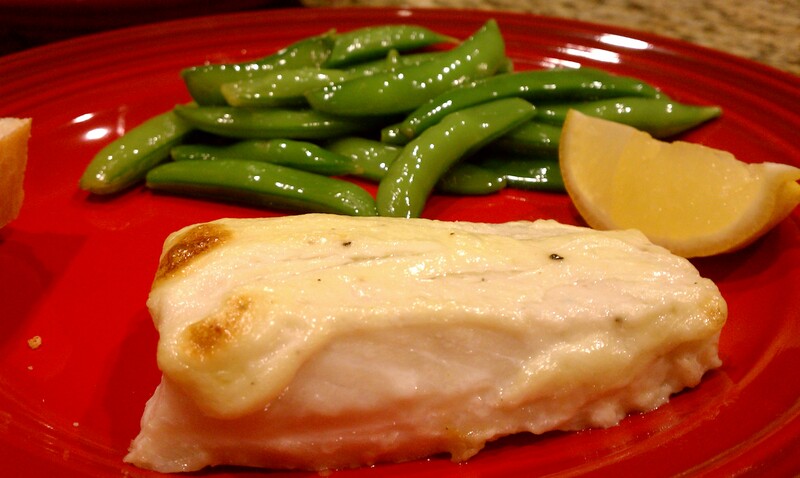 with mayonnaise, spread it on a thick white fish, and broil for 12 minutes. I love when just 3 ingredients can result in an amazing recipe. I used wild halibut and a reduced-fat olive oil mayo. 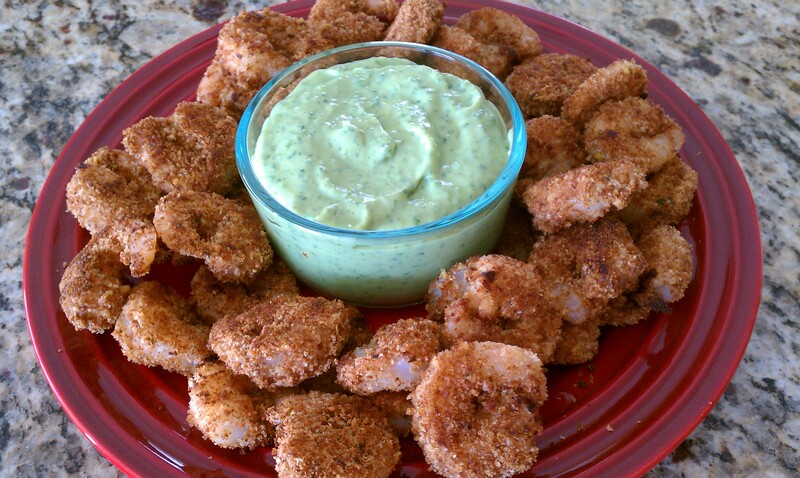 For the kids, I mixed mayo with lemon juice instead of wasabi, and they gobbled it up. Using a broiling pan for fish is not something I have tried before, but it was cooked perfectly. Will definitely be making this again. Any suggestions on other flavors to go with the mayo topping? Maybe chipotle chili peppers?